I am a pastor. Cultivating a love for knowledge in the church must begin with me. I must lead the way. I must push my church. I must challenge them in areas that they are uncomfortable. I must lead them into holiness. I must protect them from those that seek to take them captive through empty philosophy and deceit (Col. 2:1-8). I am a watchmen. I am a servant. I must be faithful with what my master has placed in my charge. Being faithful begins with the understanding that my church needs more than knowledge. They need the warmth of fellowship that comes through healthy relationships. That is not cultivated from the pulpit. And if all I do is seek to lecture, I have failed them. Moreover, I buy the right to speak truth by humbly submitting my life to my church. I am not above them. I live with them. And this is the starting place for cultivating a love of knowledge in the church. Academics feel cold. They are not cold, most of them. But knowledge is a natural barrier between people. Knowledge puffs us up and can create distance in relationships. Knowing this, if you want to get knowledge into to your church, pour love into it first. Serve your church: stack chairs, clean restrooms, go to recitals, send thank you cards, remember birthdays, cry at funerals, and laugh. Loving others shows them the true purpose of knowledge. Growing in knowledge is not just about learning the rules. It is not about becoming an annoying fact spouter. It is about knowing God fully. And in knowing God fully comes obedience more naturally which results in life experienced more truly. Let us not forget that life is found in knowing God and following His ways. The value of knowledge cannot be grasped through a lecture. It must come through a relationship. When one sees how the pursuit of knowledge has changed you for the better, they will desire it for themselves. But when your knowledge is used to elevate yourself as you berate the ignorant, people will despise you and run into emotionalism. People must like you if they are going to listen to you. I know that is beneath many of you. “People ought listen to me because I’m right,” you think. But I trust people that I know are committed to me. And it takes more than a mouth to do that. If you are a pastor, I hope to you take the lead. And if you’re not a pastor, let me help you serve him. First, understand that his opposition to your desire to teach apologetics or whatnot may not actually be opposition. It might be something as simple as bad timing on your part. When we are passionate about something, we expect the world to revolve around our passions. And many of you have become passionate about apologetics. That is good. The pastor’s world, though, does not spin around your sun. In seeking to help your church, first understand the pastor’s burden. It is not easy to carry the load of the three failing marriages, a son in jail, a mom with cancer, a staff member in sin, and a heretic within your church. Pastoring is a joy, and it is sticky. The weight of others pain clings to you. More than the time it takes from your schedule, it weighs on your soul. Paul speaks often of feeling as though he is in an arena fighting for the churches that he planted (Col 2:1). The Lord is gracious, though, and he provides much more than we give. Let this knowledge season your approach to getting apologetics into your church. 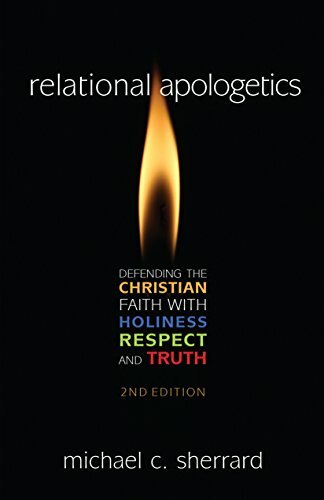 Understand accordingly that the Church needs more than apologetics. And if your pastor is faithful, that is what he is giving them. If your pastor seems uninterested, wait and try again another day. You may have simply caught him on day when the sky was falling on him. Be patient. Pestering pastors with your hobby horse needs not to be their only contact with you. Take a pastor out to lunch. Mow his grass. Watch a ball game together. And serve the church: join the nursery rotation, chaperone a youth event, be a greeter, tithe, cry at a funeral, and laugh. If you want a pastor to use you, he must trust you. And it takes more than your knowledge to earn the trust of your pastor. It will take your life. I hope you see that love and a life of service must be seen in your life. For no one will desire your knowledge if it has lead you to be cold, prideful, and uncaring. Actions are the results of beliefs. And if your knowledge does not move you to serve, I, and no one else, should desire it.